Dharmony Healing Herbs is founded on the simple premise that Nature Knows Best. This simple & profound wisdom is at the heart of the Ayurvedic system of Natural Medicine which has continued to heal, restore & enhance human health since the dawn of time. 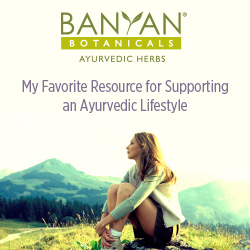 Today, in a world far divorced from the connection with Natural Harmony, Ayurveda offers a return home…a way of living, of remembering our roots as compassionate caretakers of the Earth & the pure organic medicine that can facilitate our optimal states of Health, Happiness & Spiritual Awakening. Through the distribution of our natural medicines, the healing circle continues as a portion of your financial contributions are given to charities that offer free medicine, education, food, clothing, shelter and compassion to communities in need throughout India. If you would like to support us in this mission feel free to participate in our “Sharing Is Truly Caring” program. Click any of the share buttons on our website and we will donate 1 meal for every button you click. If you share one page through 4 social channels that’s 4 meals. If you visit 3 pages and click 10 share buttons that’s 10 meals. And if you really want to help, then visit as many pages as you like and share as much as you feel comfortable….you could help generate as much as 100 meals. This little act, when done by many of us, makes a huge difference in the lives of so many. Having learned the sacred wisdom of Ayurveda, we now offer these potent medicines and remedies to all in search of Balance. The lifelong study of Ayurveda is a sacred journey back to Nature and that One Consciousness which infuses it with life. We invite you on this pilgrimage back home to our roots, into the Heart of Wisdom and the Embodiment of Love. May you live long enough to see 1000 full moons…May you be happy… May we all be free.